Our Beer MuZeum is constantly “in flux”, as we acquire more inventory. George just set up some of the neon lights on display so they are illuminated for you viewing pleasure! The above photo is only a sampling, sobe sure to visit us to enjoy the full collection! 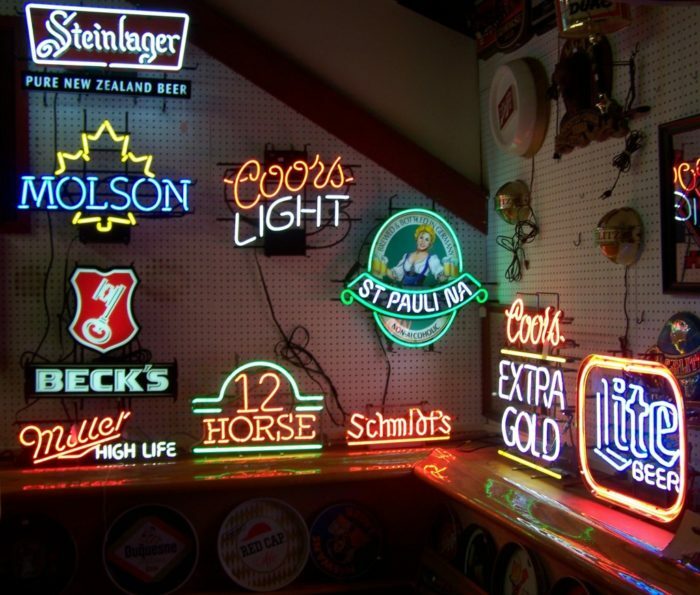 How do you light up your home bar? I’ll be we have the perfect piece waiting for you. In the meantime, check out this guy’s collection! Impressive! He proves that you can never have too many neons!